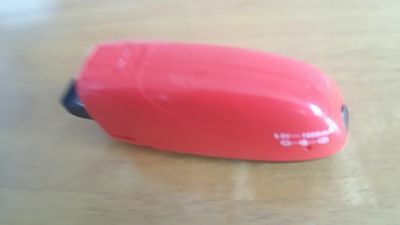 It's mini , It's portable , It's electric and it has two purposes and its red oh and it powered by USB or battery , what is ? 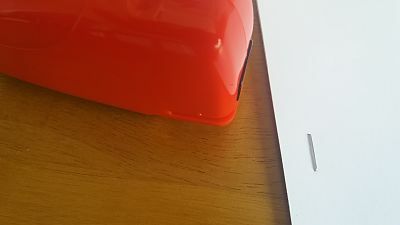 I hear you cry , my new gadget , my new toy it is an electric stapler and staple remover . 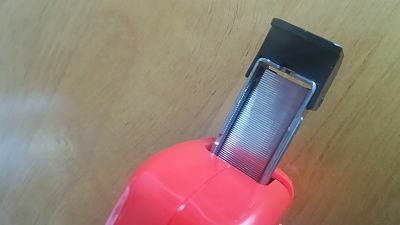 So this is quiet, compact and cordless , it comes with a usb to be powered up with but if you are not able to get a port to plug in it doesn't matter as this takes 2 x AAA batteries . 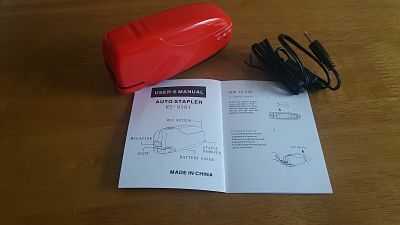 very simple to use , press the back button and it ejects the staple compartment , load up your staples , push the compartment back in and get ready to have your paper work all sorted and get stapling , its as easy as that as that , the stapler detects the paper you feed in and does the work for you and you don't have to worry if you put the staple in the wrong place or need to remove it for what ever reason because under neath at the back is a staple remover , the stapler detects up to 10 pieces of paper, light in weight and very compact easily fitting in to your bag .